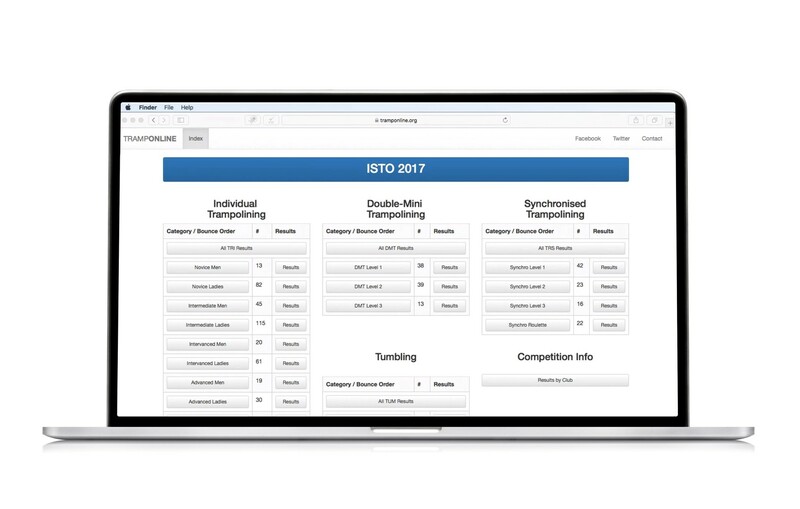 The dedicated online entries and score system for trampolining competitions. Proud to be competition partners with the NEUT League, Scottish Student Trampolining, and the Irish Student Trampoline Open. View live scores and archived results. Enter trampoline gymnastics competitions here. The hassle-free way to manage your competition entries. 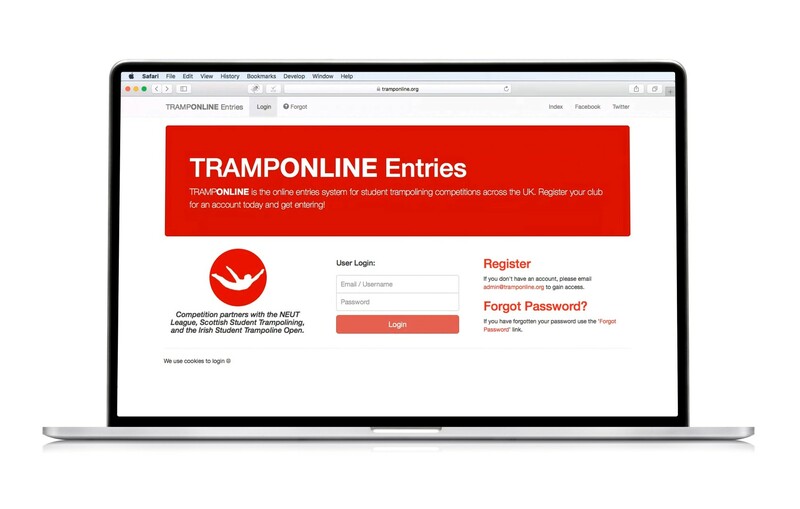 Dozens of competition organisers across the UK and Ireland have chosen TRAMPONLINE to manage their competition entries. Use your time effectively and let the system co-ordinate all your competition entries, which is fully customisable to each competition. Custom-built online scoring, without the fuss. No more setting up of score systems, cables, special software or difficult live scores. With just an internet connection you can run all of your scoring from any number of devices, with scores viewable instantly for spectators in their hands. Contact admin@tramponline.org to find out more information about using TRAMPONLINE for your competition. Whether you have 6 competitors or 600 - get in touch to see how you can make your competition easier to manage!